For a unique wedding in a venue with a fascinating history, there’s no better place to choose than The Brewery. Located in the heart of the City of London, one of the most popular cities for weddings in the world, we have a range of adaptable spaces to host wedding ceremonies, services and receptions for between 40 and 1,000 guests. Imagine fairy tale settings ideal for a wedding and that’s what you find at The Brewery: An arched entrance way, cobbled courtyard and rooms that Kings and Queens have visited. In fact, each of our rooms have a wealth of history to them, which can be incorporated into the story of your big day should you choose. Our wedding planner, Milena Gorska, will be on hand throughout to assist you and make your wedding day as magical as it should be. Milena will work alongside our highly-experienced event managers to ensure your day runs smoothly, taking all the pressure off you and allowing you to enjoy every moment of your day. We can cater for all types of weddings for a range of different cultures. The Brewery is also licenced for ceremonies, so you can have the entire celebration at our venue. Our Executive Chef Andy Ritchie and his team are dedicated to providing some of the most delicious wedding menus you will find, which stand out from the crowd for their creativity, fusion of flavours and quality of ingredients. You’ll be invited to a private tasting with Steve and his team to ensure that everything is to your exact requirements. We also have a great selection of drinks designed to complement the food you choose – from Bucks Fizz and Champagne, to fine wines and Pimms, we’ll advise you as to what will suit your menu of choice. We’re not just an incredible wedding reception venue – we’re so much more! Our central London wedding reception venue is the perfect place to gather family and friends to celebrate the most joyous of occasions. 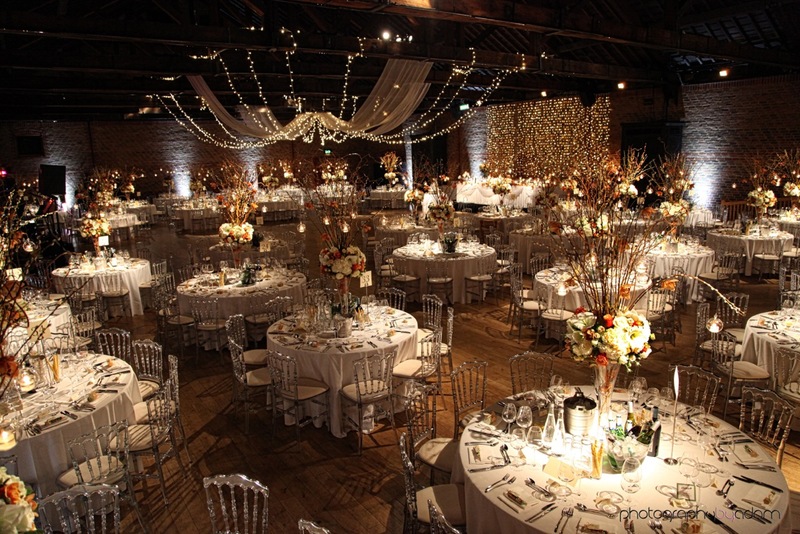 Due to the unique layout of the Brewery, we are able to host a wedding reception in the centre of London for a quest list of any size. If it’s small and intimate or a large gathering of family and friends, we’re here to ensure you have a fantastic day. There are many wedding reception venues in London but there are few that can compare to The Brewery. Our wedding licence includes every room within our venue and allows us to host your wedding ceremony and reception on-site for between 40 and 1,000 guests. We can perform civil ceremonies and civil partnerships, and have hosted culturally diverse weddings from the Asian, Jewish and Greek communities. Full details of everything we can provide to you to make your wedding the best day of your life can be found on our sister site Proposal. We know you want your wedding to be perfect and we can make that dream a reality. "The wedding was magical - the venue just gorgeous (and so many people commented on it) - the 'team' at The Brewery were fantastic - every single person was so kind and helpful and I really felt that they felt how important it was to make everything go smoothly. I thank everyone for their outstanding service - The Brewery must rank top in any league for setting and service provision"
After a fabulous wedding in a unique and stylish environment?